A survey released to the student body found that social programming events, such as those hosted at the Collis Center, had a positive impact on 61.5 percent of students who responded, whereas 33.6 percent said that the programming had no impact on their lives. From Tuesday, Feb. 14 to Monday, Feb. 20, The Dartmouth fielded the online survey for Dartmouth students — to which 334 responded — on community-related topics surrounding social programming. Students answered questions ranging from the impact that College programming had on them personally to the types of events that they attended. The results were broken down by demographics such as class year, affiliation or gender. The College’s new house community system, which places each student in one of six housing communities, was first implemented in fall of 2016. The system’s introduction followed almost a year of planning by the Moving Dartmouth Forward steering committee, a campus-wide effort to create policies that address a set of key issues College President Phil Hanlon had identified, including high-risk drinking, sexual assault and exclusivity on campus. “We realized very early on that addressing some of the issues that we were seeing on campus, that having more community in the residence halls, and more continuity in the residence halls and more intellectual engagement, was one of the best ways we could address [these issues],” said physics and astronomy professor Ryan Hickox, West House Professor and an MDF steering committee member. Hickox added that the creation of a robust housing system was the number one recommendation of MDF. Since the fall term, the housing communities have pursued different ways of bringing together intellectual and cultural life, Hickox said. West House has hosted several community dinners, weekly teas with faculty and a number of other intellectual and cultural events. In addition, the house communities have organized intramural sports and several other social events, which are especially concentrated during special weekends on campus such as Homecoming and Winter Carnival. Results from the survey show that members of the Class of 2020 are the most integrated with the housing system. Freshmen are more likely than any other class to have attended a house community dinner or social event. Thirty-nine percent of freshmen said they have attended a house community dinner, while 45 percent have attended a house social event. In comparison, 29.5 percent of all respondents have attended a house community dinner and 31.1 percent have attended a house social event. Assessing the reaction of students to the new housing system, Hickox said that overall the reaction has been fairly positive. Especially among ’20s, Hickox said that it has been a positive for first-year students to come to campus already part of a community, as was found in the survey results. “Automatically having that sense of home on campus is a really powerful thing,” he said. However, Hickox also said that while providing students with social programming is part of the house system’s function, it is not its main goal. The Collis Center contains three groups — Collis After Dark, Programming Board and Collis Governing Board — whose main purpose is to provide students with social programming. Katy Sprout ’17 and Josue Ruiz ’17, interns with CAD, said that CAD focuses on creating inclusive social spaces at Collis for students on different nights of the week, especially Fridays and Saturdays. “The purpose [of the organization] I saw ever since joining as a freshman was creating an additional space, not necessarily an alternative space,” Sprout said. Sprout added that CAD’s events in the past two terms have included Pinterest nights, spoken word nights, comedy shows, late night skates, hypnotists, movie nights, laser tag, magic shows and vast assortments of food and drinks, with alcohol served at times for students over 21. After going to the National Association for Camps Activities Convention, Ruiz said that he realized that Dartmouth “arguably has the most college-sponsored programs of any university in the United States,” Ruiz said. In addition to those two events, which each draw 50 to 100 people nightly, CGB hosts several larger events, including viewing parties for the Super Bowl and the Oscars and several events cosponsored with other groups, including the Poker Society and V-February. “It’s important that we are able to be so consistent and so regular with all of our events that are focused on welcoming everyone,” Cann said. Cann said that CGB’s main focus is not only offering students consistent social programming, but also an inclusive space and community to all students. Ruiz said that it is always beneficial to have multiple options for social spaces. Sprout and Ruiz both said that CAD events are well attended. Ruiz said that, based on CAD’s own surveys, a full cross-section of Dartmouth students attends CAD events. Results from the survey concur, as 63 percent of Dartmouth students have attended a CAD event. However, when students were asked how frequently they have “participated in or attended social programming events on campus,” less than 10 percent said that they “often” attend such events. Thirty-one percent said they have “rarely” attended such events while almost nine percent say they have “never” attended a school-sponsored social event. Sprout and Ruiz attributed these numbers to two things: lack of awareness and campus culture. “I don’t think Dartmouth students realize how much programming is [offered] at Dartmouth,” Ruiz said. However, Sprout said that CAD has made many attempts to get students to come out to events, from campus-wide blitzes to vibrant posters to running through the ’53 Commons dining hall dressed in PacMan costumes to advertise CAD’s Arcade Night. The survey showed results regarding a campus culture around school-sponsored social programming. While 61 percent of students say that social programming has a positive impact on them, only 43 percent of students believe other students take some or full advantage of campus social programming. 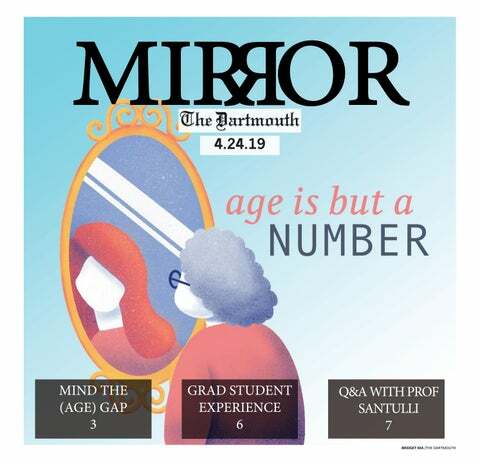 “There has long been a distinction between how Dartmouth students perceive each other’s values and priorities and what they actually are,” Hickox said. He said that he hopes the house communities can help build genuine relationships and create opportunities for meaningful exchange, which he says together can mitigate the differences between perceptions and reality. Sprout and Ruiz said that all it takes to change campus’ hesitance around social programming is a little bit of initiative and open-mindedness on the part of students. “If you see a poster, keep an open mind about it and if something sounds interesting, maybe you should try to go. People are definitely hesitant,” Sprout said.